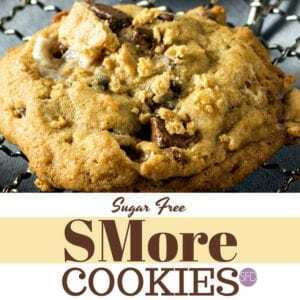 I finally figured out how to make Sugar Free SMore Cookies. This cookie is dedicated to those of us who do not want to give up our love for Smores. Especially when we are watching our sugar intake. This smore cookie is a nice alternative to the usual chocolate chip cookie. While bother cookies are good, and feature chocolate, this one has a bit more taste to it. The taste is thanks to the marshmallows and grahams that have been added to the bowl! Naturally, you will need a few ingredients to make this recipe. 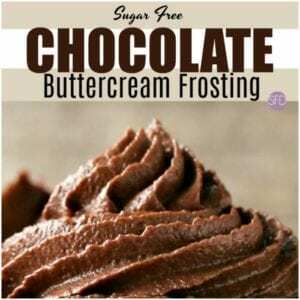 First off, you will need chocolate which can be in the form of sugar free chocolate chips or broken up candy bars. 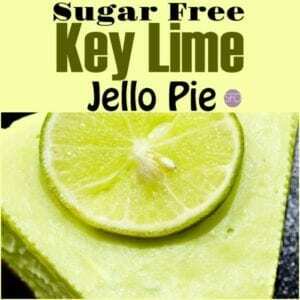 You will also need a sugar free brown sugar alternative. Also, you will need these items. Sugar free marshmallows which you can make yourself using this recipe or purchase sugar free marshmallows online. Lastly, you will need sugar free graham crackers which you will need to make yourself using this recipe as they are not available online. How to Make a Sugar Free Graham Cracker Crust. As mentioned, you will need chocolate which can be in the form of sugar free chocolate chips or broken up candy bars. 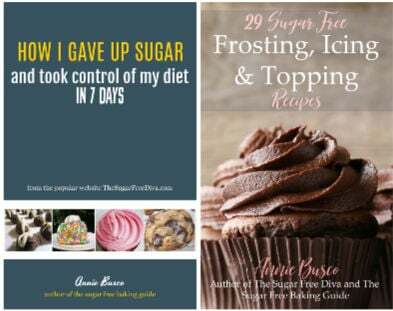 You will also need a sugar free brown sugar alternative. 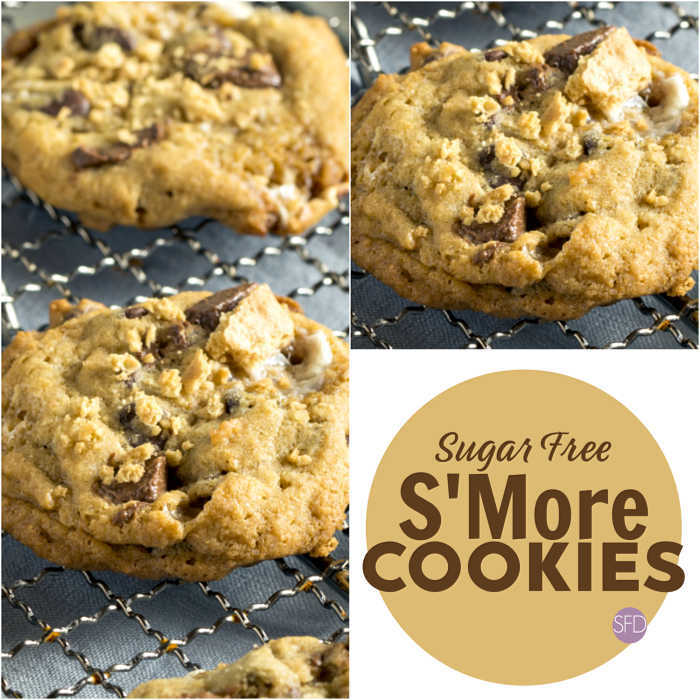 What you will need to make this recipe for Sugar Free SMore Cookies. Flour- 3 cups. 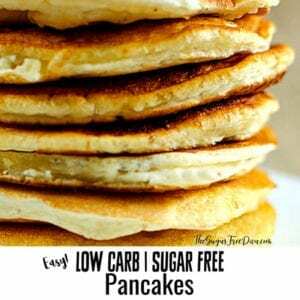 you can Make this recipe low carb by using low carb Carbalose flour. Crushed Graham Crackers– 1 cup in small chunks. Butter- 1 cup + 1 tablespoon (2 sticks+ 1 tablespoon) room temperature. Sugar Alternative- 1 cup equivalent to sugar. Granular works best. Sugar free marshmallows which you can make yourself using this recipe or purchase sugar free marshmallows online– 1 cup cut up. 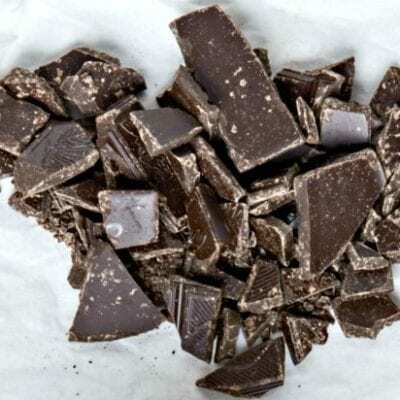 Chocolate Chips or Broken Up Chocolate Bar- 1 cup. Prepare your Graham Crackers as per the recipe. To crush them, simply place the graham crackers in sealed plastic bag and use a rolling pin to gently break them up. You want chunks rather than total crumbs to result. Preheat the oven to 325 and prep your baking sheets for nonstick. I use parchment paper. 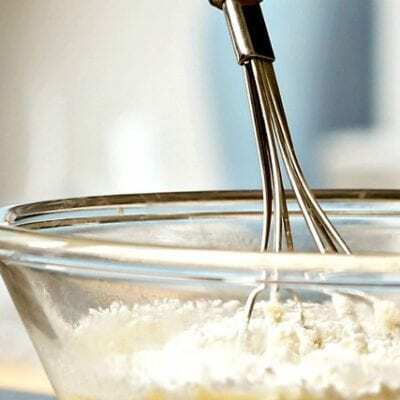 In a medium bowl, gently mix together the baking soda, flour, and the graham cracker chunks. Set this aside. 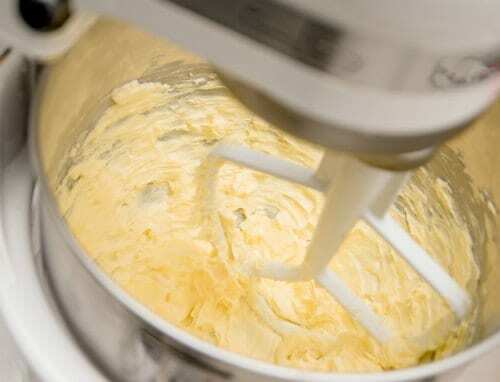 Next, combine together the butter and sugar alternatives in a mixer and beat until smooth. 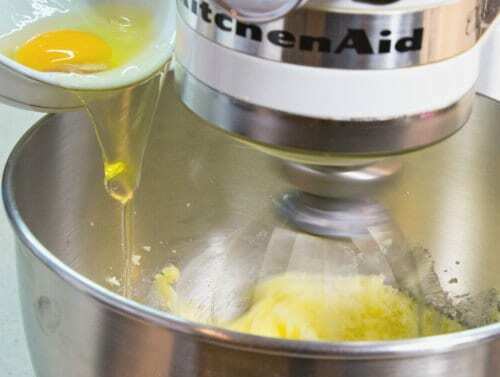 Add the eggs and then the vanilla extract to the mixing bowl and blend. Slowly add the dry ingredients to the bowl and mix until blended. If you would like to have chunks of graham crackers in your cookies, you can hold back half of the cracker chunks until the next step. Add the marshmallows and chocolate to the mixing bowl and stir them in by hand. Do not over mix these. Bake these for 8-10 minutes. Allow them to sit on the sheet for a minute before transferring to a cooling rack. Here are a couple of tips for you. 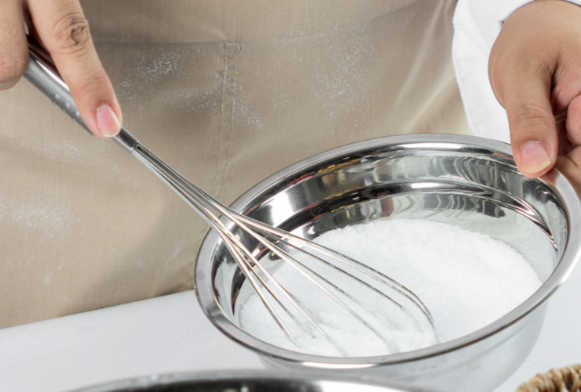 If your dough seems too dry, add a bit of water a teaspoon at a time. Also, if your marshmallow seem to melt in the cookie, try refrigerating them before adding them to the dough. 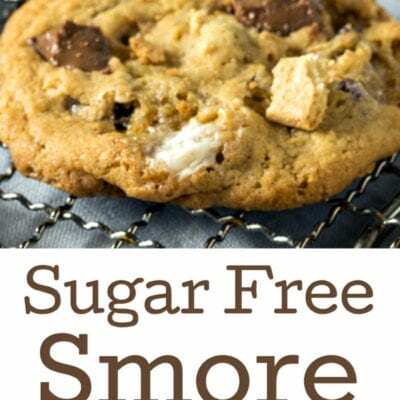 This is the recipe for Sugar Free SMore Cookies that can also be made low in carbohydrates as well. S'more cookies that have no added sugar in them are delicious! 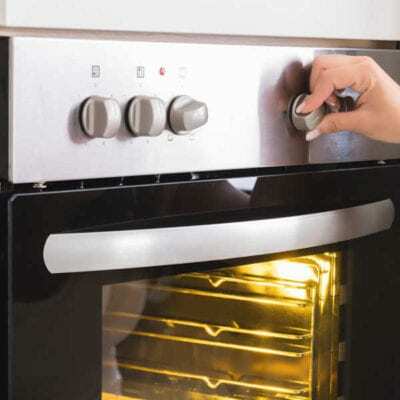 Preheat the oven to 325 and prep your baking sheets for nonstick. Please see recipe post for details that are not listed here. Sugar free marshmallows which you can make yourself using this recipe or purchase sugar free marshmallows online.